The move to cloud technology is fueling a second major advance in the form of solving problems associated with wide area network (WAN) coverage. The new alternative, software-defined wide area networking (SD-WAN), promises improvements over cumbersome WAN management, and providers are rushing to obtain this technology. While the market will need time to settle out, it’s clear that providers expect there to be major demand for SD-WAN — and they want to be the ones to supply it. In recent months, for instance, Comcast has joined an array of other providers announcing a merger to gain SD-WAN capabilities. Sprint, Vonage, Earthlink, and Verizon are just a few other providers that have obtained SD-WAN technology to offer customers. Their purchases are likely to pay off in big ways. By 2020, the SD-WAN market is expected to reach $6 billion, according to market research firm IDC. In just two years, 75 percent of companies are expected to have implemented SD-WAN. Enterprises prefer to obtain SD-WAN through a provider. 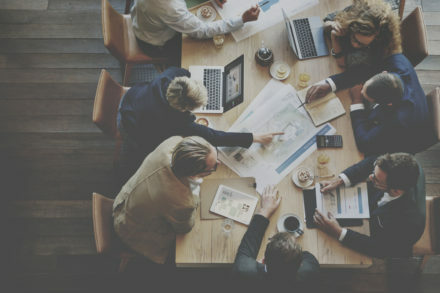 Based on the results of a survey conducted by IDC earlier in the year, 42 percent of 722 enterprises said they plan to implement SD-WAN through a traditional communications service provider to leverage the value of working with proven experts. Many service providers see the opportunity to offer SD-WAN as a way to augment their traditional service options, such as multiprotocol label switching (MPLS). Doing so creates a seamless process as enterprises seek to upgrade to SD-WAN from their current providers. There are several drawbacks to traditional WAN structures that are making SD-WAN look attractive to enterprises. They are cumbersome to manage and often have latency issues with their hub-and-spoke connection to the internet. 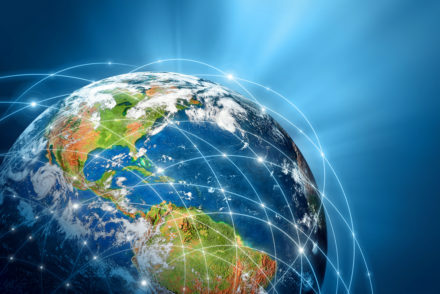 SD-WAN offers improved agility, the ability to access hybrid networks through broadband and MPLS, and a high level of visibility for network and application monitoring. It also provides a fast turnaround for enterprises in a growth pattern, allowing them to get a new branch location up and running quickly. It’s still early in the process for the acquisition of SD-WAN technology by providers. As the market quickly takes shape with the demand for SD-WAN and providers’ efforts to meet that demand, providers that are able to maximize the benefit of obtaining this technology will rise to the top. Truth Comm has access to the technology you need to take your enterprise into the SD-WAN era. As your enterprise embraces cloud technology, your network needs will change. Talk with us to discuss your specific business needs and the options that will best support your network demand. The rise of enterprise mobility carries many benefits, including a less rigid line between personal and professional lives. The ability to multi-task or improve life-work balance means that people are no longer tethered to a particular location to get work done. The problem is, in many cases, this means that the workday never ends. Convenience: Staff members that are out in the field or working remotely can access the same systems and data as their counterparts that work in the office. Sales reps no longer need to set aside a day to come in to update a pipeline program, for instance. Speed: Decisions can be made more quickly because mobile technology allows for video conferencing, the access of data and other components that previously were only accessible with a meeting in the office. Productivity: Companies love mobile enterprise solutions, because the workday never ends. Hours of productivity are added every week. Morale: Despite the seemingly never-ending work week, employees appreciate the ability to have control over their schedules. No longer are they forced to figure out how to finish the workday and be available for family activities — they can do both. Put a 24-hour response policy in place: This doesn’t mean that no one needs to respond to an email for the first day, it simply sets the expectation that nobody should get frustrated if it takes a few hours, or even half a day, to receive a response to an email. Think before you press “send:” When you send someone an email with a request or asking a question, consider whether it’s truly necessary. If you can ask them the same question next week at your Monday meeting, consider putting it off. Protect face time: When you meet with someone, set the example of putting away your devices and focusing in on your meeting. If you receive a phone call, avoid checking to see who’s calling or stopping to listen to a voice mail. In-person meetings should take priority over someone that’s calling or texting you. Interested in introducing or expanding your mobile enterprise technology? Talk with the consultants at Truthcomm. We help you navigate all the ways a particular technology choice will impact your business and your employees before implementation. Give us a call today. The need for security is never-ending in a digital environment. As a business, you require access to those things that make daily operations more efficient and streamlined, yet these same tools can make you vulnerable. Wide-area connections must be protected especially. As the demand for SD-WAN continues to grow, a shift in the way security is layered throughout the network is assured. 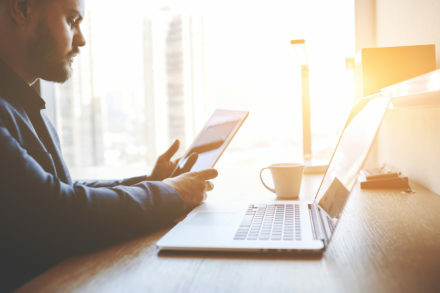 The typical business environment with multiple locations once relied on landline technology to assure connectivity. This often required batch transmissions at the end of the day to get all data to the same location for optimal processes. Today, data management is done in real-time, with communications across all locations managed across the same infrastructure. SD-WAN runs above a combination of MPLS and direct Internet connection frameworks and a VPN may just offer the security you need. If that is your preferred direction, there are inherent attributes to SD-WAN that can actually assist in the creation of the right approach to security. Fine-grained policies according to the identity of devices or users, as well as applications, offer great segmentation opportunities. 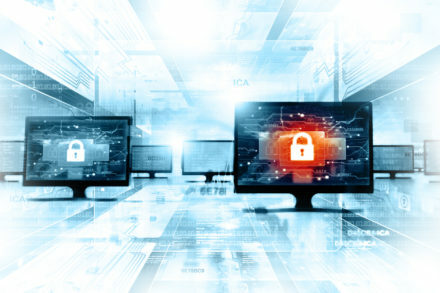 Likewise, improved traffic visibility offers insight into the current state, and when combined with policy control, allows for the implementation of application access control to prevent hacking. Real-time traffic can also be analyzed as SD-WAN provides for the opportunity to invoke analytics engines via the cloud. This not only provides direct access to trusted sites, it will also allow for funneling of traffic to unknown sites to centrally- or cloud-based inspection services. This minimizes the opportunity for problems, while also delivering improved productivity and better security overall. This is critical in an environment where remote access is a must. Still, there are certain preferences that may need to change within the IT department if SD-WAN is to become a part of the communication strategy. 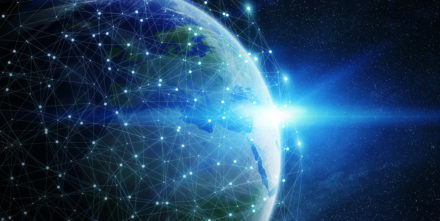 For one, the required MPLS connections cost considerably more than the typical business Internet connection. Second, the desire to rely on a single network services provider to ensure the same quality of service to every branch is not always possible, especially in global deployments. SD-WAN can still provide improved management in this environment, but it does require a shift in approach. At the same time, making assumptions about the performance or workings of MPLS in every context can lead to problems. Automatic fault tolerance capabilities to provide protection when a line fails, for instance, can also cause databases to get out of sync with the application simply because the database can’t detect that a new MPLS connection was made. SD-WAN can be used to access database applications in the external cloud to avoid this issue. The idea of shoring up your network in an SD-WAN driven infrastructure can seem overwhelming. There are certainly benefits too strong to ignore, but other realities that must be understood at the same time. At Truthcomm, it’s our job to understand the details you need to consider before making the move. Call one of our experts today to help you get started. Communication: Decades ago, email brought a significant change to business communications management. Instead of waiting days for a document to show up through the mail or dealing with a frustrating fax machine, files could be shared immediately. Now, another revolution is taking place with Voice over Internet Protocol (VoIP), which enables companies to use the internet for video conferencing. Mobile technology now allows field employees to reduce transportation costs and more efficiently update data from their locations. Inventory management: Every company that handles products requires a system that will allow them to carry enough inventory to meet demand while minimizing overstock. As data analysis becomes more available, companies are able to more accurately predict customers’ behaviors and buying patterns, enabling them to carry exactly the amount of product they will need to sell — and nothing more. Data management: Like inventory management, data in more broad terms is becoming increasingly accessible for analysis. Companies can more accurately pinpoint their customers’ needs and anticipate them, providing discount campaigns and tailoring sales or other promotions to meet expectations. Managers are also able to integrate data across a variety of systems so they are able to see how various areas of the company are impacting profitability. Stream processing allows managers to identify areas in need of improvement and optimize their return on investment across the organization. Customer Relationship Management: Personalization is an ever-growing trend in attracting customers and fueling growth. Customer relationship management systems allow sales teams to target specific groups of customers for a particular promotion based on their buying history. Customer relationship management also helps sales reps detail exact information about their meetings with potential buyers and provide updates on how close they are to closing a sale. This allows managers to have updated information about what’s in the sales pipeline for each of their reps. If you’re interested in the latest technology to improve the management of your company, talk with Truth Comm. We offer access to the best tools for improving business processes and keeping your company competitive. If your company has chosen a cloud-based application for your next software investment, you’re likely excited about many of the benefits you expect to experience. Perks like better scalability and increased agility are great reasons to switch to cloud solutions, but that doesn’t mean there aren’t often bumps along the way. Understand and address security concerns. In many cases, cloud software offers improved security over the protection an on-site solution could provide. What can get murky, though, is deciding who’s responsible for each part of your security. Don’t assume your vendor is addressing this issue. Instead, come up with a written plan that clearly outlines the responsibilities your IT department and your vendor will be covering. The security of cloud solutions can get especially tricky because it’s rare that a company makes a unilateral switch to cloud-based software. In most situations, cloud solutions are gradually added to the mix. This can leave holes in security, where information is being shared across cloud and on-site applications, so be sure to address it. Help your employees understand the changes. Transitioning to cloud-based technology can be complex, and your line-of-business managers and their teams will need a basic understanding of the structure supporting their processes. Keep them informed about the changes and get their input to increase buy-in. Talk through the importance of high-quality passwords and other security features, too. Explain how the security of your system is supported and the steps they can take to help further protect the data you have in your system. You’re not on your own. It’s never a good idea to implement a cloud application on your own. Select a vendor partner that is proactive about understanding your business processes and will provide the services you need. For instance, you may want a vendor that will offer educational opportunities and provide training for your team. The right vendor will make sure your transition to a cloud solution is as smooth and easy as possible. They can also help you design your infrastructure in a way that best supports your business processes. 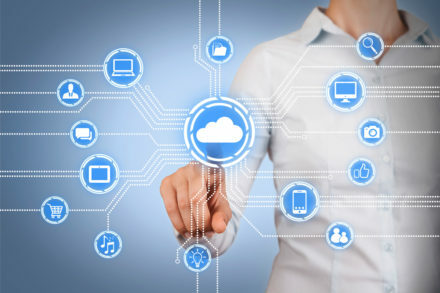 Many companies integrate cloud solutions slowly, and your vendor can help you determine which pieces of your business are best handled by cloud technology. If you’re looking for a cloud vendor that will not only walk you through the transition, but give you straight answers to your questions and concerns along the way, make an appointment with Truth Comm. We offer the technical support you want while providing the truth you need about your technology. Tried and true in the business world once determined the success of an organization. The handshake got the deal done and the approach to quality customer care set competitors apart. While these elements can still play a role, technology is increasingly separating the winners from the losers. To that end, SD-WAN is leading the pack. 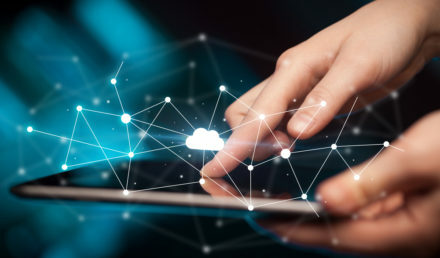 Businesses that are embracing the cloud for their data and processes are finding that SD-WAN is an increasingly important solution. These businesses have embraced the value of digital transformation and understand that network transformation is an essential piece of the puzzle. They understand that the WAN is essential when the cloud is leveraged for the delivery of services. As critical as this piece is to digital transformation and the success of the organization as a whole, it’s even more important to have the necessary flexibility to address application performance and customize solutions according to the needs of the business. SD-WAN leverages the principles of software-defined networking so as to adapt to the needs of your business. This ensures the optimization of application delivery across the cloud, as well as the distributed enterprise. For those organizations that have adopted the hybrid cloud, SD-WAN holds particular relevance. The IT team must assess WAN architectures to determine best practices in a blended environment. What once made sense for client-server applications that were housed in legacy systems no longer applies when cloud environments, whether public, private, or hybrid, are involved. The hybrid cloud service delivery especially demands an application-based approach for remote and brand locations. Such an approach has to support MPLS, VPNs, broadband internet, and 4G/LTE technologies. At the same time, the deployment strategy has to possess the necessary intelligence to direct traffic across best-performing paths to optimize both application performance and the customer experience. Is It Time to Adopt SD-WAN? Cloud initiatives are certainly driving the evaluation of the traditional WAN. As more control and better security continue to be requirements at the application level, SD-WAN is gaining importance as it provides IT teams the insight and custom adaptability necessary. Ensuring your network supports not only digital transformation, but also the growing demands of a highly competitive industry is a daunting task. Understanding the benefits associated with SD-WAN and whether or not it’s time to make a change shouldn’t be something that slows down your ability to keep pace with digital demands. At Truth Comm, we’re skilled at helping you identify needs and mapping out the right solution. Give us a call today to start your consultation. When it comes to digital processes today, customer expectations must be met. According to a survey by Dynatrace, nearly 80 percent of people will drop an app quickly if it doesn’t perform as expected. Fortunately, the cloud is giving organizations new ways to meet — and perhaps surpass — customer expectations. It’s more important than ever to create an experience that is exceedingly engaging to the customer. The companies that are succeeding at this are those that are integrating cloud initiatives. In fact, according to an executive report from IBM,there are twice as many highly successful companies reporting to be fully engaged in cloud initiatives than low performing companies. Companies that use cloud initiatives have access to tools that create a more engaged environment where customers have a chance to be interactive and loyal to the brand. In this cognitive era, cloud innovation is a perfect fit. You can use the cloud and your data to leverage new applications and find better ways to engage your target audience. Various vendors offering cognitive capabilities give you the chance to build applications that are perfect for where your company is now and for where you’re headed. A good vendor will allow you to integrate your on-premise apps to cloud services in a seamless manner. Some organizations find that a hybrid cloud model works best to allow for growth. If your goals are to step outside the box and strive for something that’s new to your organization, flexibility is vital. If your priorities are likely going to change but you just don’t know in which direction quite yet, a hybrid model is also a good fit. Options are great to have, and the cloud offers many. Every company’s needs are different, and yours might even be different from one quarter to the next. You can choose which cloud model works best depending on your priorities. Just remember that if you’re using a public vendor, any data you might need to move could be problematic. In any event, the perfect scenario is for you to have control, so choose wisely. Truth Comm is a company that offers cloud services that are customized to fit your priorities. Contact us today and let’s discuss your goals.